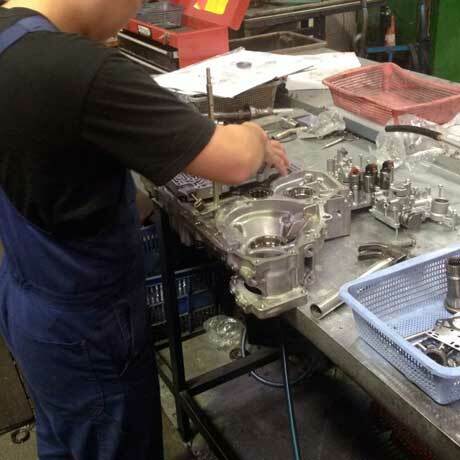 We rebuild Honda Auto Transmissions and Manual Gearboxes using Honda genuine parts. Fully Reconditioned or Second Hand. Delivery Australia wide. Fully Reconditioned Transmissions. Refurbished and completely rebuilt using Honda genuine parts. 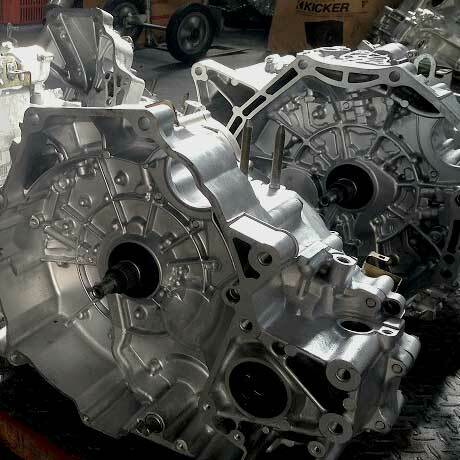 Reconditioned means the transmission or gearbox is refurbished and completely rebuilt using premium Honda genuine parts. Honda vehicles with transmission or gearbox problems may experience a knocking sound from the engine bay, gears slipping, flairing (revving without movement), or D4 light flashing. What should I do when my transmission has a problem? You should speak to a professional whenever you experience transmission problems. They can advise on purchasing a second hand or reconditioned transmission. You’ll find the most experienced and knowledgable engineers right here at Hondworld! Without the right advice, simply purchasing a second hand transmission or gearbox may not resolve your problem. So wherever you live in Australia please contact us on (03) 9545 5202. We’re happy to discuss your transmission problems and provide you with the best affordable solution. Honda Specialist Team. Technicians with over 40 years experience combined. Hondworld technicians pride themselves on having extensive knowledge in Honda auto transmissions and manual gearboxes. From older 1975 models right through to today’s current models. 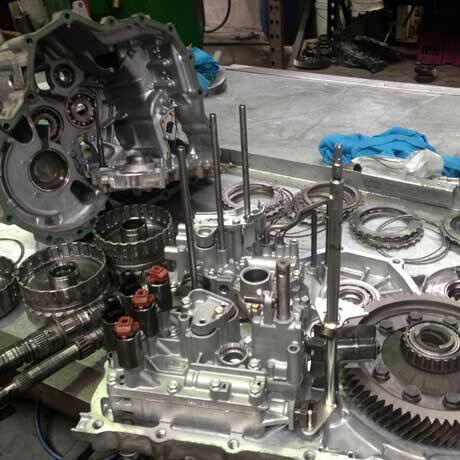 Our technicians work daily on reconditioning and rebuilding all models of Honda car transmissions and gearboxes. They have the knowledge and experience to ensure your reconditioned transmission or gearbox will last you many more years. Our Honda specialists team strive to offer you the best service at the lowest price. How do you beat competitors on price and quality of workmanship? We have a strong ongoing relationship with local Honda dealers and suppliers. We have decades of Honda transmission experience giving us the leading edge on efficiency and speed. These contribute to driving down the costs of both labour and Honda parts. 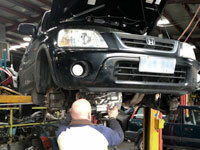 Hondworld technicians have over 40 years experience combined in all areas of transmission reconditioning. So you can trust you’re dealing with the best in the Honda transmission business. 12 Months Warranty. Reconditioned standard automatic transmissions and manual gearboxes. Reconditioned Standard Automatic Transmissions and Manual Gearboxes come with a 12 months warranty. Reconditioned Constantly Variable Transmissions (CVT) come with 6 months warranty. Good condition, low mileage, Second-Hand Transmissions come with 3 months warranty. Is a reconditioned or second-hand transmission best for my Honda? 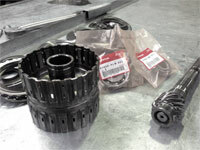 Most customers require reconditioned standard transmissions and gearboxes. However, depending on your circumstances and availability, you may prefer a lower cost second-hand transmission. Please call (03) 9545 5202 to help you determine the best solution for your budget. All reconditioned automatic transmissions and manual gearboxes are sold on a Changeover Agreement. Upon receiving your replacement automatic transmission or manual gearbox, your old one must be returned to Hondworld within two (2) weeks. Your warranty will become void if the changeover has not occurred within the stated 2 week period. Hondworld will arrange both dispatch of your new transmission or gearbox, and the return of your old one anywhere in Australia. 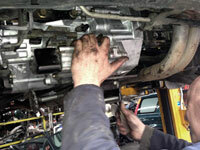 Your replacement transmission or gearbox must be fitted to your vehicle prior to the change-over date. This ensures all required sensors and solenoids are properly exchanged. 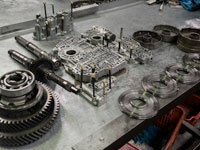 Your old transmission or gearbox must be completely drained of oil and safely placed on the skid we provided. It must also be safely and securely fastened. 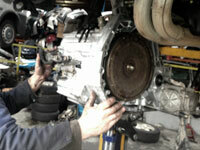 You need to call us once you’ve completed re-fitting the replacement transmission or gearbox. We’ll take care of the rest! 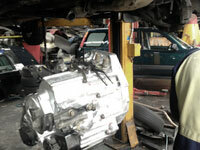 Hondworld Transmissions and Gearboxes is a subdivision of Hondworld Auto Parts Recyclers & Service Centre. Hondworld is a family owned business proudly operating for over 14 years. Hondworld Transmissions and Gearboxes was created to deliver the best possible reconditioning service of Honda automatic transmissions and manual gearboxes.